Gaited horses are known for their smooth lateral movements and unique gaits. While gaited horses certainly are capable of trotting and cantering, allowing a horse who is not already well trained and well balanced to trot can lead to the development of long-term bad habits. A gaited horse who opts to trot instead of gait often is uncomfortable to ride and unbalanced. Proper training and riding are essential parts of making sure your gaited horse moves the way he was bred to. Have your horse thoroughly checked out by your veterinarian. Health problems can contribute to your horse's unwillingness to gait, especially if he has lameness issues that prevent him from moving correctly. Ask your veterinarian to identify any conformation flaws that also could be contributing to the problem. Consult a professional horse trainer who is experienced in working with gaited horses. Have the professional ride your horse as well as observe you riding so that she can see if you are confusing your horse accidentally with your cues or identify any other problems that may be occurring in your communication with your horse. Bad habits on the part of a rider, especially a rider who is not used to riding gaited horses, can cause the horse to trot instead of pick up the gait you are asking for. Never allow your horse to trot when you want him to gait. If you cue your horse to gait and he picks up a trot, you must stop him immediately and re-cue him. Continue to do so until he picks up the correct movement. This may take numerous attempts. You will have to do this every ride until your horse stops trotting when you ask him to gait.  Training a horse takes significant time and patience. If you are not prepared to make the commitment, then you need to send your horse for professional training. 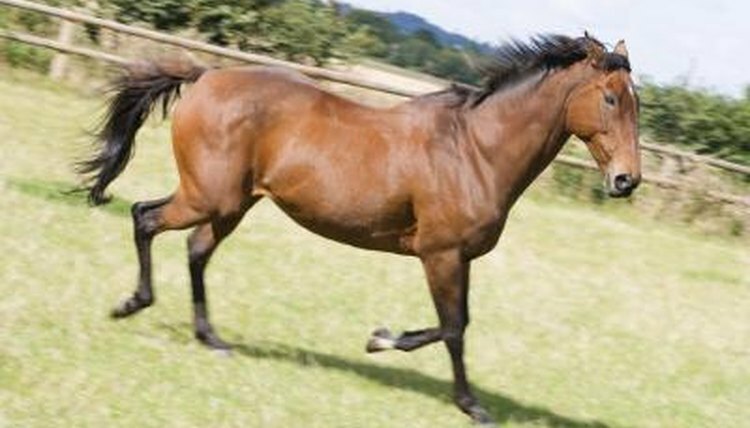  Some poorly built, poorly conformed horses always will have difficultly with their movements, but proper training can help. Gaits of Gold: How, and When, Should I Canter (or Trot) My Gaited Horse?